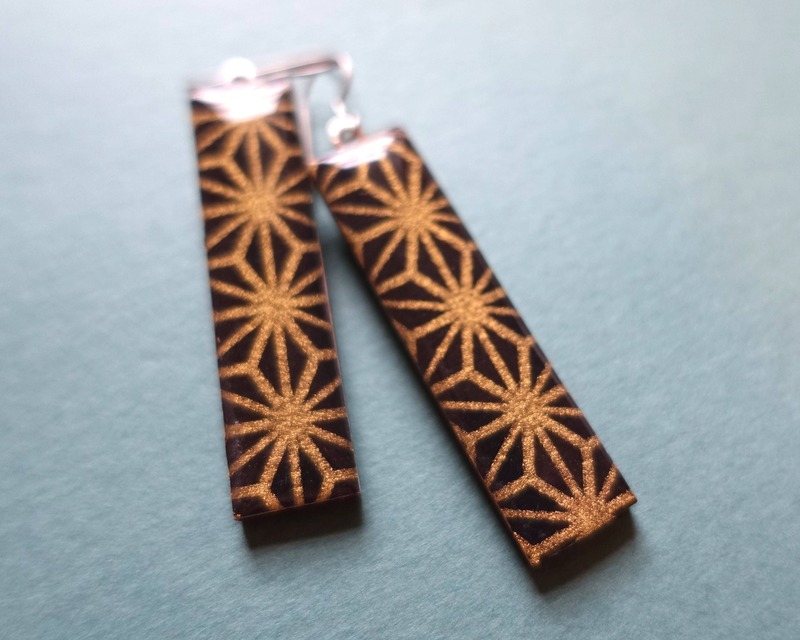 Long rectangle earrings with a deep violet (almost black) color and gold design. 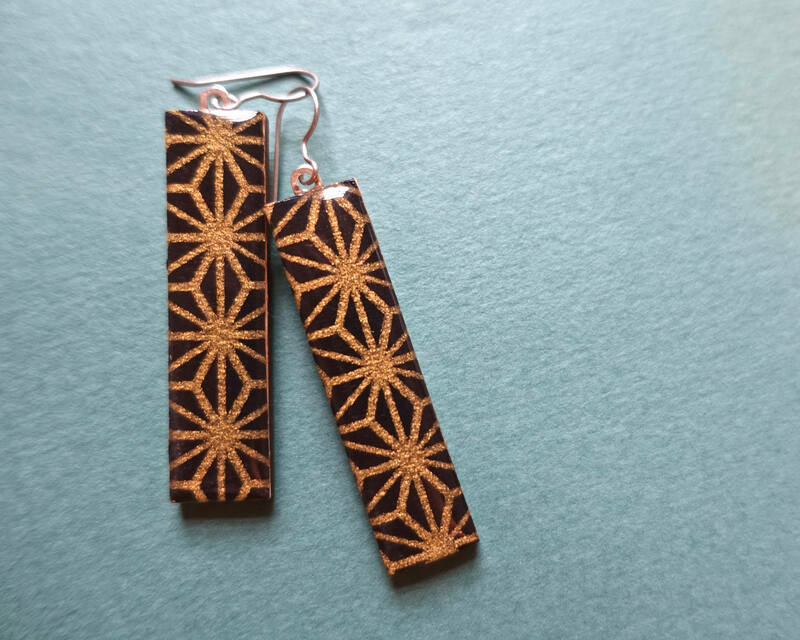 Handmade from wood and Japanese chiyogami paper. Backs of earrings are painted gold. 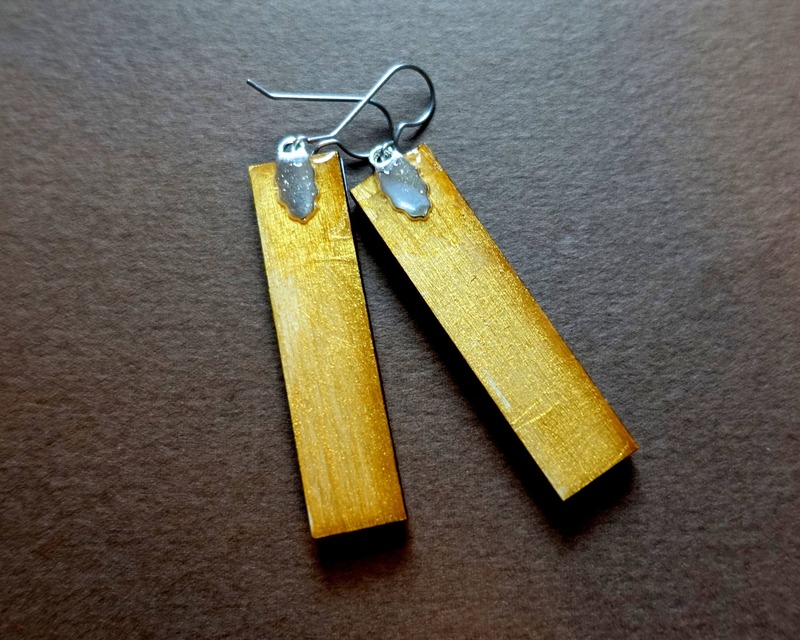 Earrings are coated in resin for water-resistance, but remain super-lightweight! 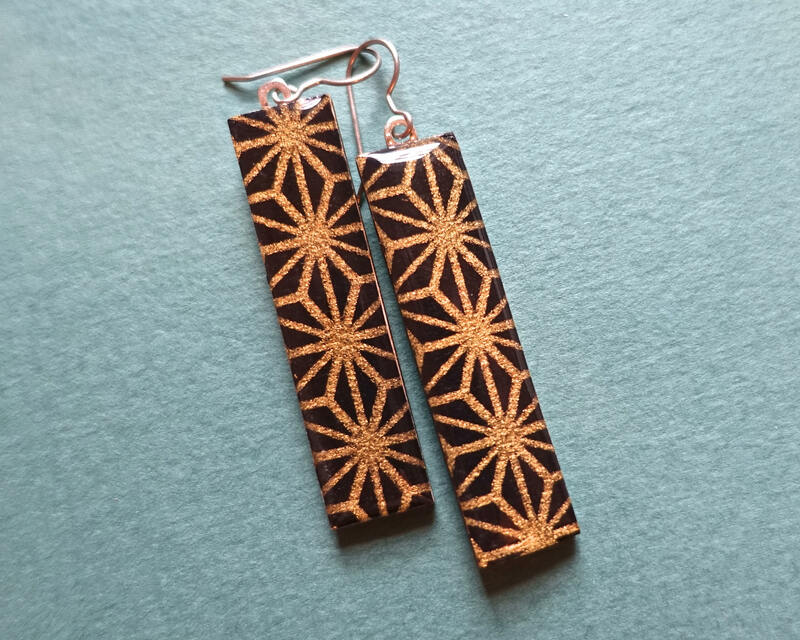 The traditional Japanese design on these earrings is called "asanoha" - it represents overlapping hemp leaves. It is said that back in the day, the wives of merchants would wear it, to bring good fortune to the wearer. Because hemp was known for its rapid growth, the pattern was often used for clothes of newborn children.